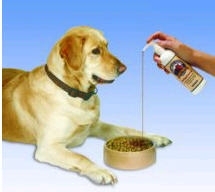 Daily supplements of Grizzly Salmon Oil™ will support the overall health of your dog or cat. The first noticeable result being healthy skin and a shiny coat! Strong heart and long life! Grizzly Salmon Oil™ supplies a range of different omega-3 fatty acids, including the long chain Omega-3 fatty acidsEPA and DHA. As dogs and cats age, they face increased risk of heart problems, stiffening joints and loss of zest and vigor. These health risks may be reduced by a diet consistently supplemented with readily accessible, long chain omega-3 fatty acids found only in cold water fish oils like e.g. Grizzly Salmon Oil. These omega-3 fatty acids are essential building blocks all dogs and cats need for maintaining a balanced metabolism. Scientific studies also show these fatty acids help maintain the immune system. Grizzly Salmon Oil™ helps keep your dog or cat's skin healthy! Healthy skin generally results in less itching and less shedding. The health condition of your dog or cat's skin and coat is influenced by the contents and balance of fatty acids in the diet. The ratio of omega-3 to omega-6 fatty acids in the diet of your dog or cat is important in order to avoid degenerative conditions like hot spots, a dull coat and inflamed, dry and itchy skin. Scientific research supports the optimum ratio of fatty acids in the range of 1:3 to 1:6 (omega-3:omega-6). Grizzly Salmon Oil™ has a ratio of approximately 8:1 (omega-3: omega-6) and is thus ideally suited for bringing commonly seen ratios in generic and premium dog and cat foods of between 1:10 and 1:20 in line with the target ratio of around 1:5. The omega-3 fatty acids also help counteract negative effects of allergic dermatitis by producing specific eicosanoids, which are known to reduce and control skin inflammations. Regular use of Grizzly Salmon Oil attributes to a lustrous, shiny coat and gives your dog or cat the appearance of overall good health. Rich flavor dogs and cats love! Grizzly Salmon Oil™ has the scent of the ocean and the rich taste of fresh fish. Most dogs and cats will love this rich taste from the very beginning -- You may even notice a healthy "addiction" to Grizzly Salmon Oil! (c) 2006-2009 Home Pet Food & Care. All rights reserved.